Welcome! I'm grateful you found me. As an intuitive, I offer readings and counseling. I invite you to learn more about my work and process. 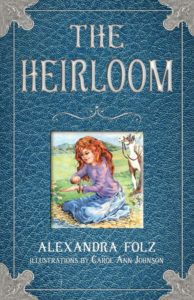 I am also the author of The Heirloom, a mysteriously enchanting children's chapter book for ages 8 and up. As you get to know me, you will see how my intuitive services and literary offering go hand in hand. My devotion to assisting all ages grow in awareness and attune to their inner wisdom is everlasting!